Caltrans announced Friday that several weekend road closures will be in place across San Diego County. Maintenance crews will close the eastbound and westbound connectors from State Route 76 (SR-76) to northbound Interstate 5 (I-5) Saturday from 3-11 a.m. for guardrail repair, according to Caltrans. Detour signs will be posted directing motorists on eastbound or westbound SR-76 to take southbound I-5, exit at Mission Avenue and turn left to northbound I-5. 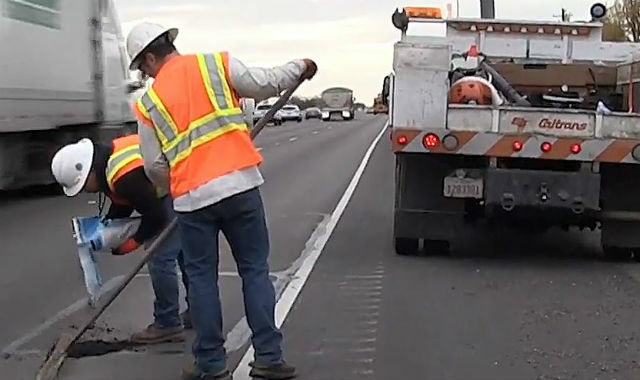 Additionally, maintenance crews will close the westbound Interstate 8 (I-8) connector to northbound State Route 67 (SR-67) Sunday from 3-10 a.m. for sign repair, according to Caltrans. Signs will be posted directing motorists on westbound I-8 to continue westbound and exit at West Main Street, turn left to eastbound I-8 to northbound SR-67. The northbound lanes of State Route 125 (SR-125) will also be closed from 7 a.m. to 7 p.m. Sunday, between State Route 905 (SR-905) and Birch Road, according to Caltrans. The northbound and southbound SR-125 shoulder bike lane between SR-905 and Birch Road will also be closed from 7 a.m. to 7 p.m. The closure is for testing of new technology.